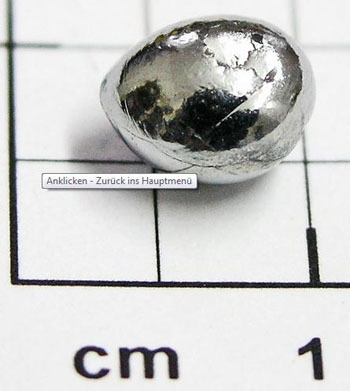 Rhenium (Re) is a very hard, silver-white transition element in group VIIB of the periodic table, first discovered in 1925. It is heavy, very rare, and found in molybdenite and platinum ores from which it is obtained as a by-product. Rhenium is analogous to manganese, it forms compounds of all oxidation states between 0 and +7, those of the higher states being volatile and stable. Its uses are similar to those of the platinum group metals; in particular, it is used in thermocouples, flashlights, and filaments.